Brutal, efficient, and deeply devoted to the art of combat, Verod Rath once served as elite guard to the Jennerit Empress, Lenore. He utilizes three energy blades to devastate his foes in close-quarters engagements. Not a vampire, though he gets that a lot. Rath's primary melee attack can be chained multiple times for a quick combo. Rath's secondary melee attack conjures a powerful lightning bolt. Rath's ceremonial Jennerit armor is sturdy enough to absorb plenty of damage, but light enough to preserve his speed and mobility. 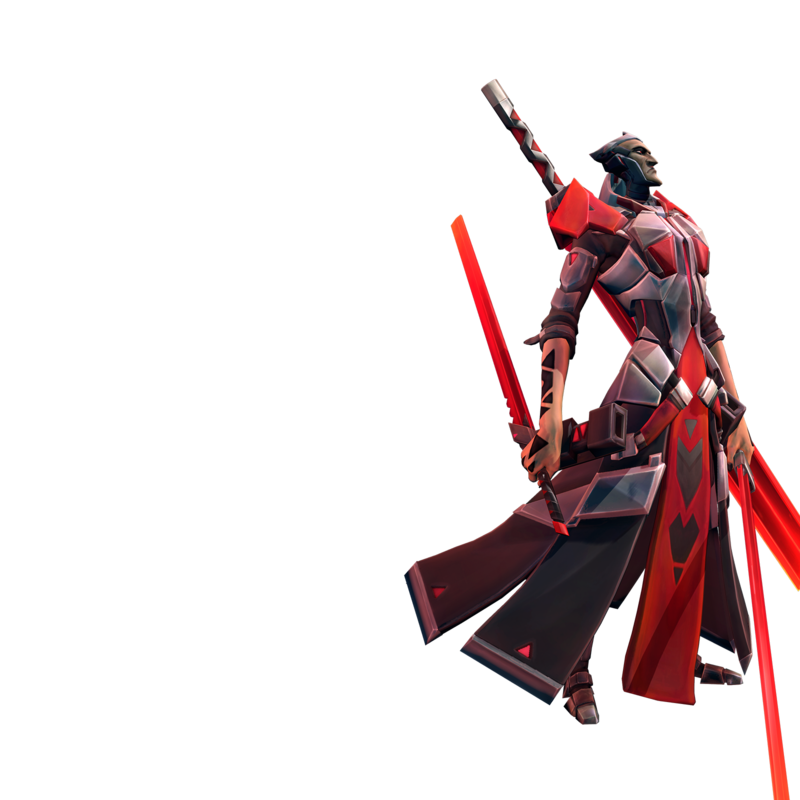 Rath throws energy blades forward a limited distance, dealing damage to enemies in its path. Rath unleashes a shockwave dealing damage directly ahead. Rath spins into a whirlwind attack for a few seconds, causing damage per hit to enemies around him. When Rath damages an enemy's health, he steals health worth a portion of the damage dealt from melee and skill attacks. Crossblade can pass through multiple enemies and damage them. When Crossblade damages an enemy's shield, Rath's shield recharges the amount of damage dealt. 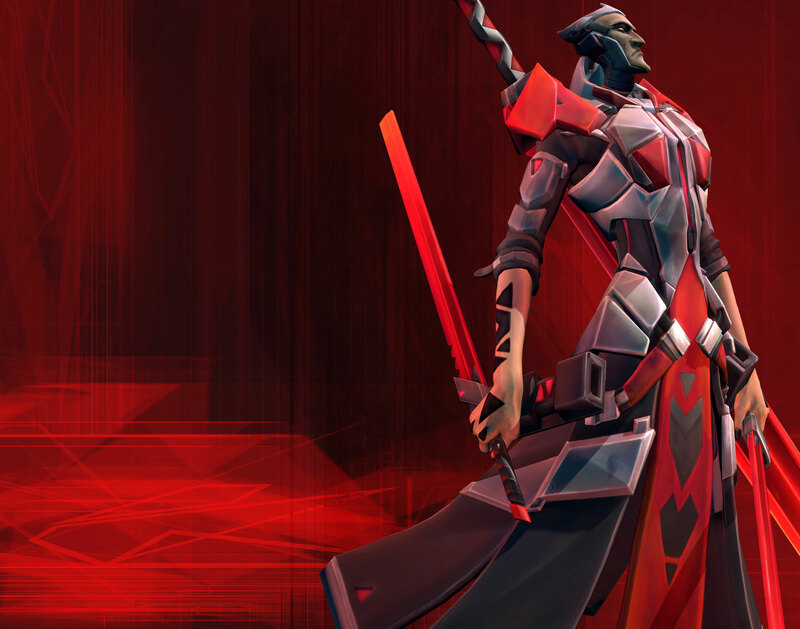 When Rath attacks with Catalytic Smash, he will leap forward, damaging enemies in his path. Genetic Syphon steals additional health when a skill deals damage to an enemy. When Rath's shield is broken, movement speed is increased for a short time. Doubles the effective range of Crossblade. Enemies hit by Catalytic Smash will take more damage from Crossblade for a short time. Grants a movement speed boost to Rath while Dreadwind is active. Catalytic Smash's shockwave is shortened, but spreads out to the left and right. When a Crossblade is destroyed, a new Crossblade will spawn, moving towards Rath. Rath's primary melee combo finishing spin fires twice at the end of the combo. Catalytic Smash blinds enemies when hit. Genetic Syphon steals additional health when attacking enemies with melee strikes. Doubles the shockwave length of Catalytic Smash. Increases base damage of all melee strikes. Killing an enemy with Catalytic Smash reduces Dreadwind's cooldown. Damage dealt by Dreadwind is greatly increased while Rath's shield is broken.